I’ve been doing a lot of research lately into Blockchain, Bitcoin and Initial Coin Offerings (ICOs) and, like many people, I still find them pretty confusing. I’ve set up trading accounts and wallets and I bought a Bitcoin that I held for about an hour before realizing I hand mistakenly purchased an over-priced Bitcoin fund and not an actual Bitcoin! (Stupid, I know, I lost about $35.) I’ve even set up my web site to accept Bitcoin for books and legal agreements. No Bitcoin buyers yet, but I’ll keep the option up there until I update my shopping cart technology in the next few months. I’m frequently contacted by Blockchain enthusiasts who want me to build a Slicing Pie calculator with Blockchain, but I have no current plans because 1) the current Pie Slicer program is my primary focus and 2) I don’t have the technical expertise to pull it off and neither does my development team. And, there is a third reason which is that putting The Pie Slicer on Blockchain doesn’t sound very exciting. Blockchain is a decentralized, secure system for peer-to-peer transactions that is very difficult to hack with current technology. This means you can bypass banks (reducing fees) and governments (side-stepping regulations) and transact directly with other people. Cybercurrencies, like Bitcoin, can be created by anyone using Blockchain technology (as long as they know how). Bitcoin, in other words, is a type of cybercurrency of which there are many. Often called “tokens,” the rules of cybercurrency are defined by the creator of the token depending on how they want the token to be used and/or valued. Blockchain is the underlying technology that allows people to store and trade tokens. This means anyone can create a token, even you and me. For instance, I could create a token that you could buy with cash. I could later allow you to exchange that token for access to goods and services that I provide…not very interesting. Used properly, the token could be used to raise money for the startup without the need for banks and regulators. Unfortunately, used improperly the token could be used to take advantage of or outright defraud investors. The good news is that companies are popping up all over the place to help manage some of this risk. But, there are still many unknowns. 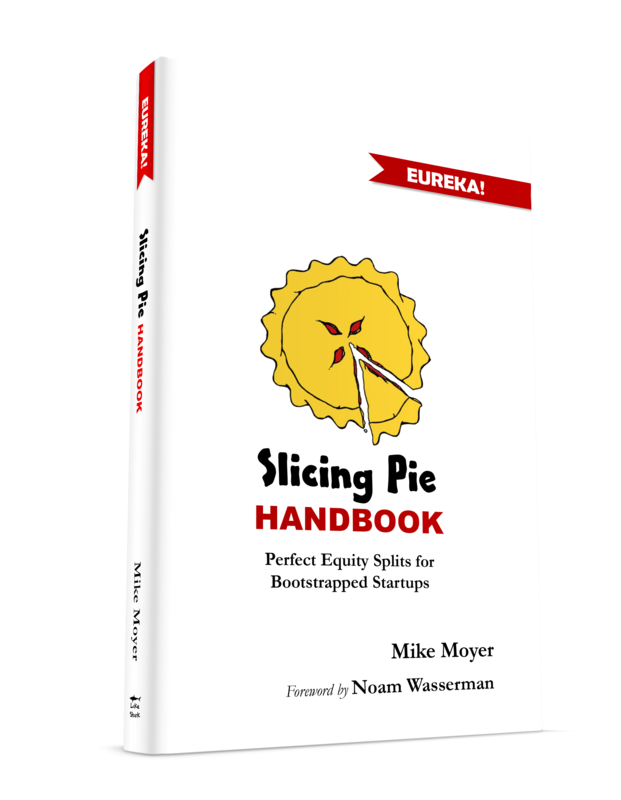 The Slicing Pie model provides a means of creating a perfectly fair equity split during the bootstrapping stage of a company when the company has no actual value. In order to be worth something, the company has to demonstrate its ability to generate revenue, attract customers or create some kind of intellectual property that people want. Getting to this point may require cash investments. The Pie will handle short-term cash from founders, but medium and long-term cash may need to come from outside sources like friends, family, crowds or VCs. Conventional investment tools often require a valuation and expensive financing documents. As I wrote about in a previous post, setting a premature valuation for a company may cause legal, ethical or tax problems and the financing process may be too expensive for smaller rounds. 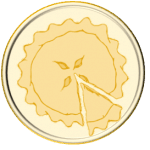 So…what if the company created a “Pie Token” that could be sold to raise money for the company? These tokens would carry equity-ish benefits as outlined above. The company could sell Pie Tokens as-needed based on the market value of the token at any given time. Companies that showed progress and communicated effectively with token holders may be able to get a higher price. This could provide easier access to capital without the need to set a company valuation…maybe…I’m still trying to figure this all out. In order to work, the “slice” offering needs to allow the company to continue using the Slicing Pie model until enough cash is earned or raised to sustain growth. When the Pie bakes, tokens would be converted to actual equity in preparation for an IPO if the company needs more money! I’m not entirely sure if this would work or how this will work. I welcome your own thoughts and ideas in the comment section below!